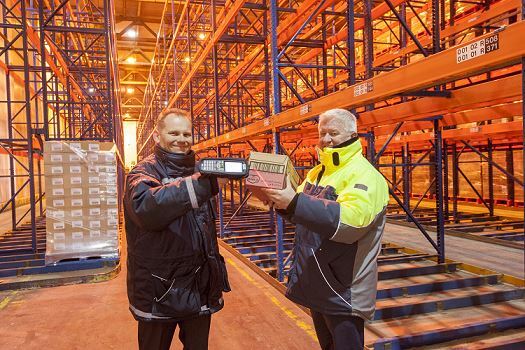 Amethyst Systems provides Freezeserve’s new warehouse system. Amethyst Systems, which is based in Portishead, completely overhauled Freezeserve’s warehouse system in Liverpool, replacing their existing SAP-based system with state-of-the-art technology that would successfully integrate with their IT and automated cold storage structure. 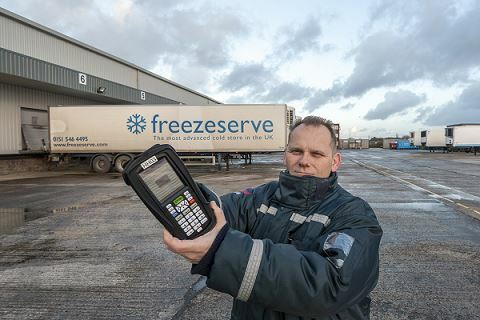 The new system has already enabled Freezeserve to break their logistics records and in its first full month of operation it facilitated an incredible 23,401 pallet movements. 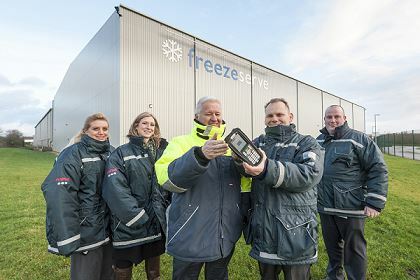 Amethyst Systems kitted out Freezeserve’s secure 20-acre cold store with the latest in pallet management systems, featuring real-time barcode scanning and the ability to oversee orders centrally. The new unique features allow easy tracking of stock movements within the warehouse, automatic importing of orders to reduce manual input and quarantine of stock. “We built this to meet Freezeserve’s requirements for a system that would map across handheld devices such as the Boston 8550 and the truck-mounted Vienna forklift computers that were provided by TouchStar Technologies. We also tailored our software so that it could interface with the OptilogX automated cold storage facility provided by ORTEC, because the efficient movement and storage of frozen food was essential,” Lee continued. Pictured (from left to right): Sam Jones and Karen Taylor of Touchstar Technologies, Terry Haigh, managing director of Freezeserve, Lee Dowson, director of Amethyst Systems, and Richard Pollard, site operations manager at Freezeserve.